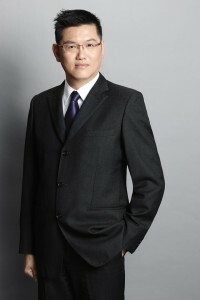 At the tender age of 19 years old, Mr YY Kwan began his career with Orient watches. Since then, he has never once looked back with anything but gratitude and appreciation for where life has taken him. This is his story of a lifetime.“I come from humble beginnings. But I always believe that if you commit your life and work with effort towards your passion, you will find success. I still remember when I first started my career in the timepiece industry. I would try the hardest to be best at my job and my dedication earned the respect of my boss. He gave me an opportunity to start my business in the timepiece industry. And I took this opportunity and turned it into a lifetime success. I learned that it is a self-taught world in the timepiece industry. To be a successful entrepreneur, you need to cultivate the initiative to self-educate by observing people to improve your product knowledge. I began AD Time in Malaysia during the late 80s. Later on, I saved up enough to buy all the shares of the company. From then on, together with my lifetime team, we have built ad time from strength to strength. Building lifetime successes requires a lifetime team. At ad time, we are a family. As we cultivate lifetime partnerships, we are excited to see the changes that we can contribute to our partners, our people, and also to our nation. We work closely through every moment, being dependable and depending on each other to accomplish great artistry in the timepiece industry. Growing the ad time brand name requires us to have continuous improvement in knowledge, partnership, understanding and trust. We consistently stand together to progress towards international standards. Through our core values, each and every one of us thoroughly believes in being there as a lifetime partner for our partners and our lifetime team.